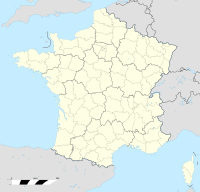 Eringhem sī ūi-tī Hoat-kok Nord-Pas-de-Calais toā-khu Nord koān ê chi̍t ê commune. Tī Eringhem ê sì-ûi ū Looberghe, Zegerscappel, Bollezeele, Drincham, Merckeghem, kap Pitgam téng siâⁿ-chhī he̍k-chiá chng-siā. "Commune d'Eringhem (59200) - Dossier complet". INSEE. 2016-05-28 khòaⁿ--ê.
Chit ia̍h siāng bóe tī 2017-nî 3-goe̍h 8-ji̍t (Pài-saⁿ), 09:56 ū pian-chi̍p--koè.